One way of getting your hands on cash is to take out an unsecured personal loan. To do this, you'll need to apply to a bank, asking to borrow between £1,000 and £40,000. However, due to the fact that a loan like this has a high interest rate attached, it's not an option that's open to everyone. And, if you have a poor credit rating, it's probably out of the question. Most credit cards offer a maximum of £5,000 on credit, and some even charge 0% interest for as many as 27 months. However, this option only works if you have a decent credit score already and are able to pay the credit card bill off every month. If you don't have a good credit score, or don't think you can pay off the bill every month as required, you'll be better off considering a different option. If you own a high value item (such as a piece of jewellery, a musical instrument or a gadget) you could consider pawning it. It works by taking your item to a pawnbroker, and he or she will offer you a loan against it. The pawnbroker will keep your item until you repay the loan, giving back your possession once you've paid them in full. If you're unable to pay back everything you owe (including fees) it wont affect your credit score, but you will loose the item you've pawned. 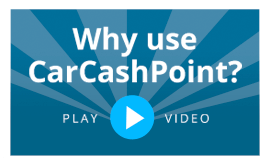 Googling 'cheap logbook loans UK' could turn up some questionable lenders on the internet, but if you use a lender like us here at Car Cash Point you might just find that it's been your best option all along. All you have to do is apply online, agree a repayment rate and use your car as security. You can have the money in your account within an hour and you can keep using your car while you're repaying the loan. This option is really helpful for people who have a poor credit rating (it's not necessary to have a good score to secure the loan) and you only pay interest on a pay-as-you-go basis. Ultimately, it's important you do some research to find out what you can and can't afford when it comes to borrowing money, and what the consequences are of not paying back any debt. But don't be too embarrassed or intimidated to ask for a loan: getting a loan and managing it well could be your ticket out of a stressful situation.